Results from the Arizona Fall League game played Monday, October 23rd. 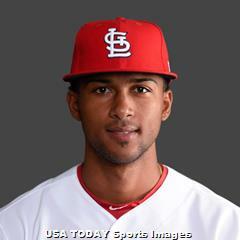 Sandy Alcantara opened and Josh Lucas closed Surprise’s 4-3 victory over Salt River on Monday. The Sagueros upped their record to 5-6 with the win, placing them in a second-place tie with Glendale, two games behind Peoria. 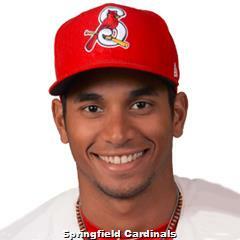 Alcantara tossed a rather mediocre effort, needing 52 pitches, 27 strikes, to traverse just two innings. The righty allowed two hits and three walks, yielding a solo shot to open his final frame. Alcantara struck out two while coaxing three groundball outs. The run gave the Rafters a brief 1-0 lead, but left fielder Yanio Perez (TX) answered with a home run of his own to begin the home half of the frame. An unearned tally put the visitors up 2-1 the next frame before first baseman Chris Paul (MN) re-tied the game with his first AFL long ball in the fourth. Surprise took advantage of a pitching change in the fifth, pushing across a tally for their first and final lead off righty Ben Meyer (L, 0-2) (MIA). Shortstop Nicky Lopez (KC) atoned for his fielding error resulting in the third’s unearned run, leading off with a single that was the first of his two hits in four at bats. Lopez advanced to third on back-to-back singles by right fielder Lamonte Wade (MN) and St. Louis’ Oscar Mercado then scored via a groundout. Mercado’s single was his only hit in three at bats. The center fielder worked a free pass in his first plate appearance and promptly stole second, his third swiped bag of the Fall campaign, but was stranded there. Mercado was a rally killer in the third when he hit into a 6-4-3 double play that negated a two-on-and-none-out situation. He grounded out softly to the pitcher in his final at bat to end the seventh. The home team added a key insurance run in the home half of the eighth after Kevin Padlo (TB) singled to open the frame, stole second and came home on an RBI single by Perez. Lopez’ tally made a winner out of right-hander Jared Ruxer (KC), who pitched around two hits and a base-on-balls for a scoreless fifth and sixth. But that was after Lucas made things a bit too interesting in the ninth. The Florida native recorded two ground outs before surrendering three consecutive singles that brought Salt River within one. 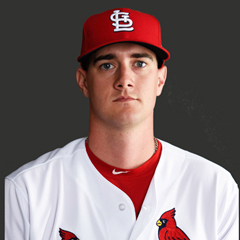 Lucas ended the threat by getting the Rafters’ clean-up hitter to fly out to left for his first save.